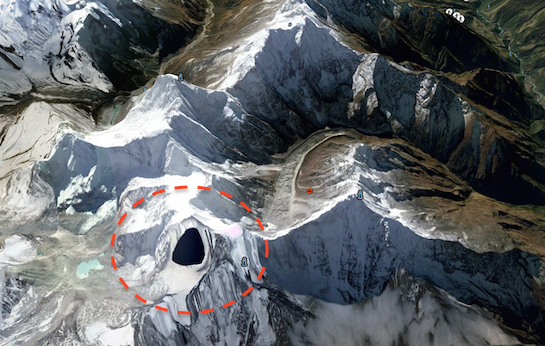 UFO SIGHTINGS DAILY: Secret Base Found In Nepal Himalaya Mountains, But Is It Govt Or Alien? Jan 2016, Video, UFO Sighting News. 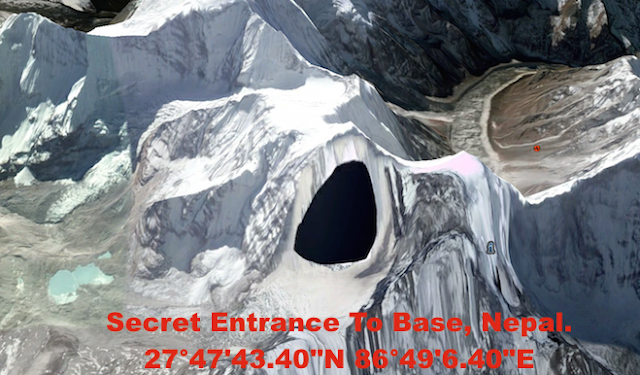 Secret Base Found In Nepal Himalaya Mountains, But Is It Govt Or Alien? Jan 2016, Video, UFO Sighting News. This is an excellent discovery by MexicoGeek of Youtube. 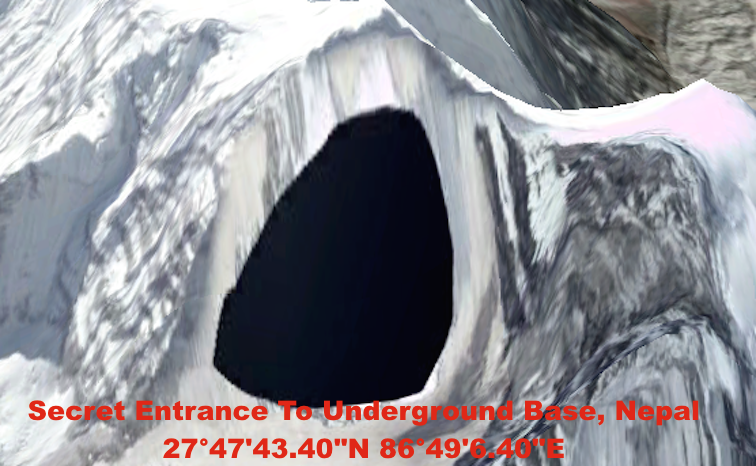 This dark area on Google map is in the Himalaya mountains. Its along the highest ridge. There are two possibilities why this occurred. First, this could be an open area only visible with high end digital equipment. Meaning this could be a entrance way for UFOs to enter and exit, but a holographic wall is created to cover up so no one will notice it. Its actually on the wall of a cliff, so that not the direction any climber would take. Second, Google may have deliberately covered up this area so that we cannot see a top secret US govt military facility. You say Area 51 is secret...no, thats old school. 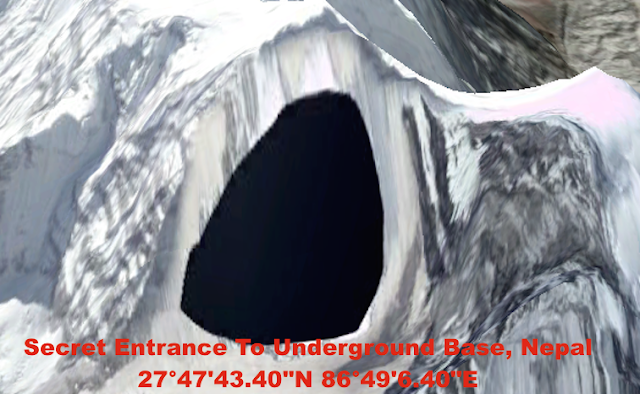 There are newer and more secret bases located around the globe.